Six albumen prints (approx. 9 x 6 ½ in. to 8 1/2 x 5 ½ in. 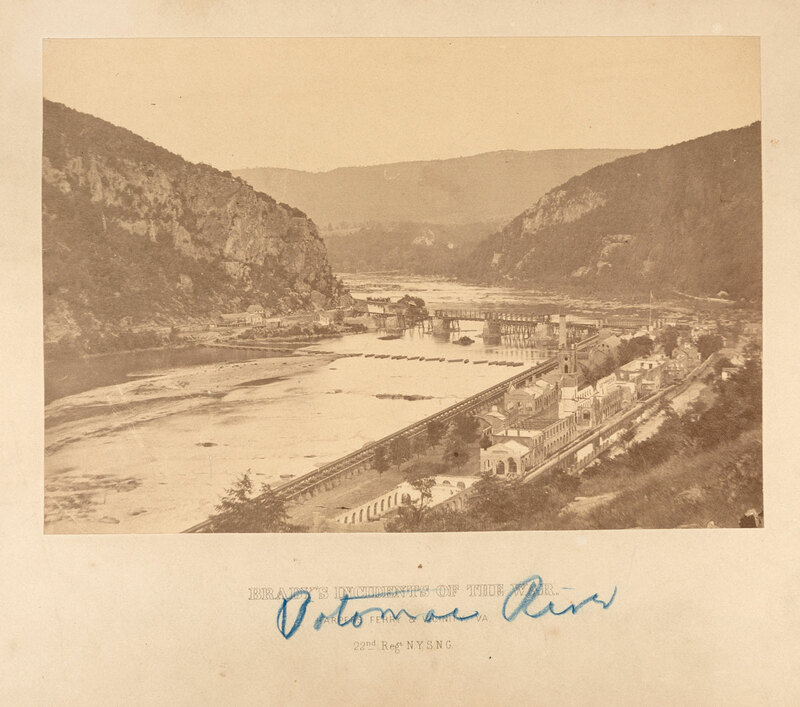 ),), original printed card mounts, each with the caption “Harpers Ferry & Vicinity, Va / 22nd Regt. N.Y.S.N.G.” and the heading “Brady’s Incidents of the War.” Light wear and soiling to mounts, some fading. A very good set. 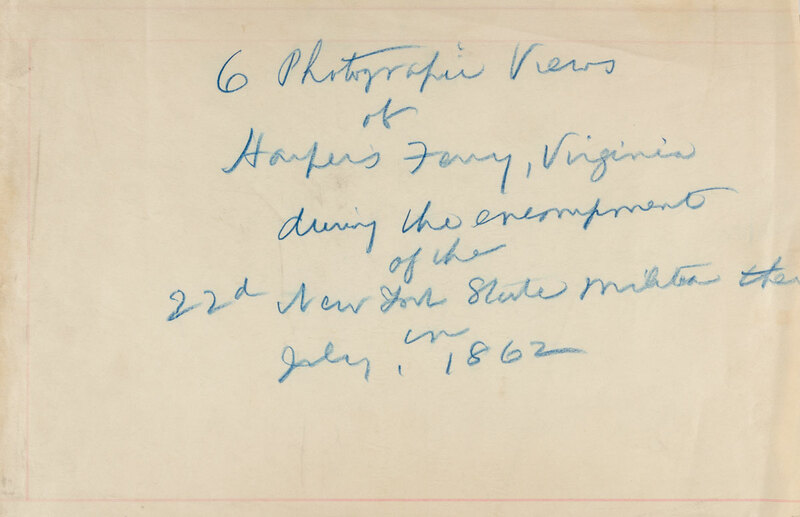 Mathew Brady sent these six photographs to a New York newspaper following the September 1862 capture of Harpers Ferry to promote his series of photographs, “Brady’s Incidents of the War.” Each is captioned in a contemporary hand in blue pencil, typical for nineteenth-century newspaper editors, and the group is accompanied by a contemporary wrapper identifying the collection in the same hand. 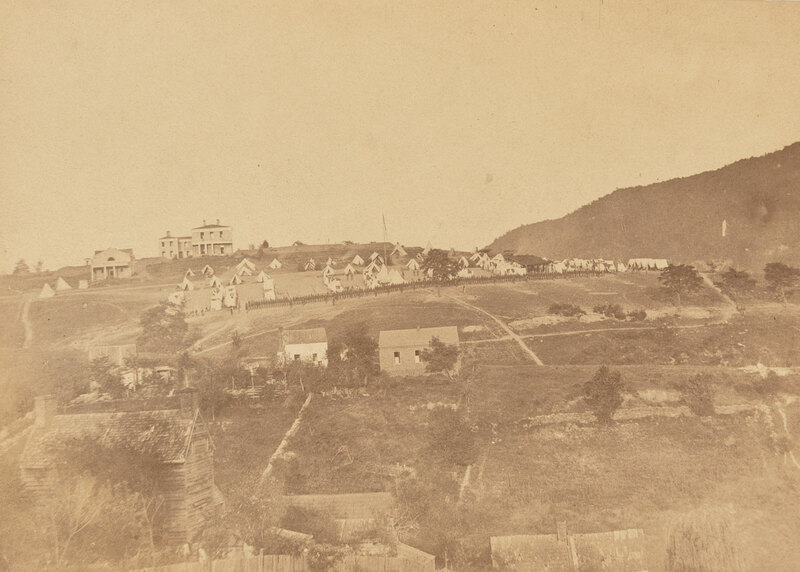 Mathew Brady and his photographers spent considerable time in Harpers Ferry and nearby Maryland Heights in the summer of 1862. In September Lee’s army invaded the North, crossing the Potomac, capturing Harpers Ferry, and fighting at Sharpsburg (Antietam). 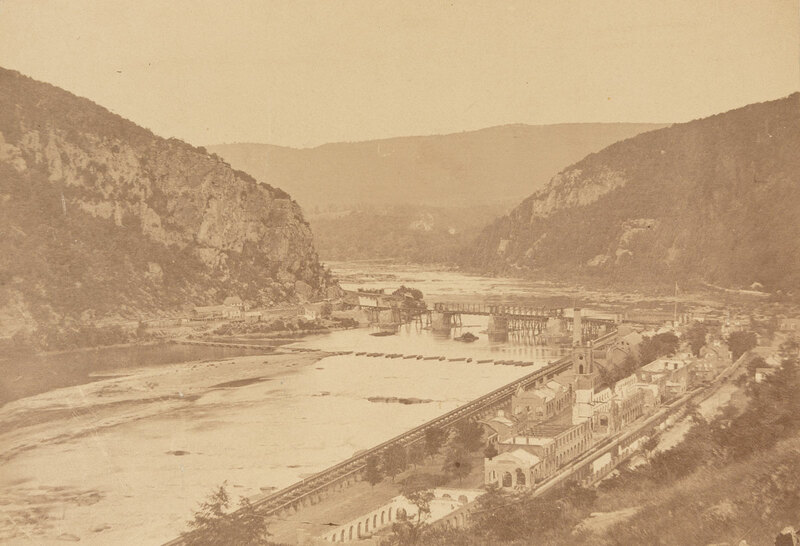 When word of the capture of Harpers Ferry reached New York, “Brady’s gallery reacted by immediately sending prints of the Harpers Ferry photographs to the major New York newspapers. 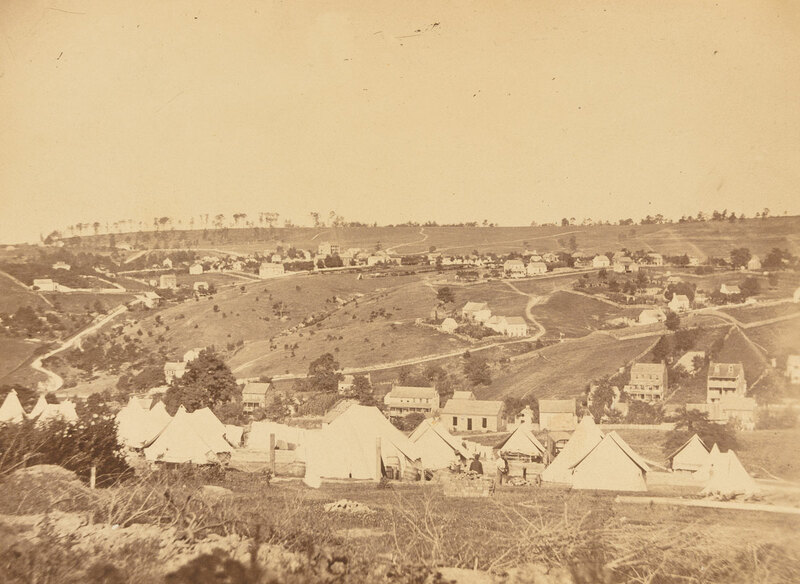 ‘We have just received some very finely executed photographs of Harper’s Ferry and vicinity, by Brady, forming part of a complete series of Views of the War,’ reported the World on September 18 with the headline ‘War Scenes Photographed.’ On the same day, the Herald reported, ‘the gallant defense of Harpers Ferry by the late lamented Colonel Dixon S. Miles invests with a vivid interest the photographs taken by there by Mr. Brady, and now being published among his ‘Incidents of the War’” (Zeller, The Blue and Gray in Black and White). 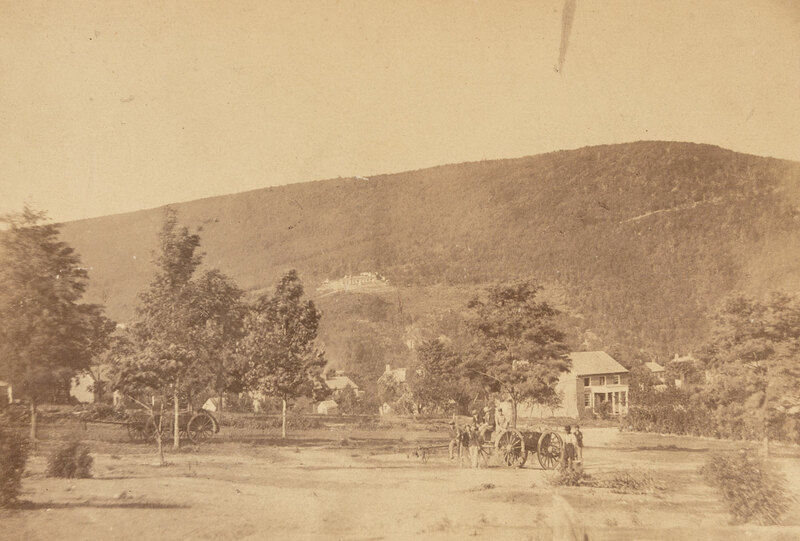 These remarkable panoramic photographs focus on the 22nd regiment of the New York Militia (aka New York State National Guard), which Brady knew would be of particular interest to the readers of New York newspapers. The images are noteworthy for showing Union encampments and positions in close proximity to the homes and farms of Harpers Ferry and environs. 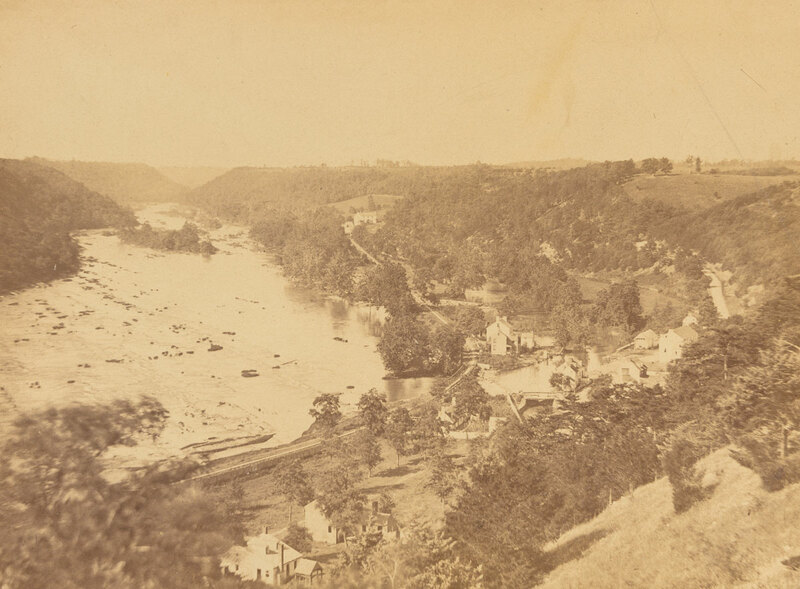 The first photograph in this group, a view of the town and the bridge crossing the Potomac and here captioned “Potomac River,” was the basis for a full-page wood engraving that appeared in Harper’s Weekly on October 4, 1862 with the credit “Photographed by Brady.” It seems likely that others appeared in the press as well. 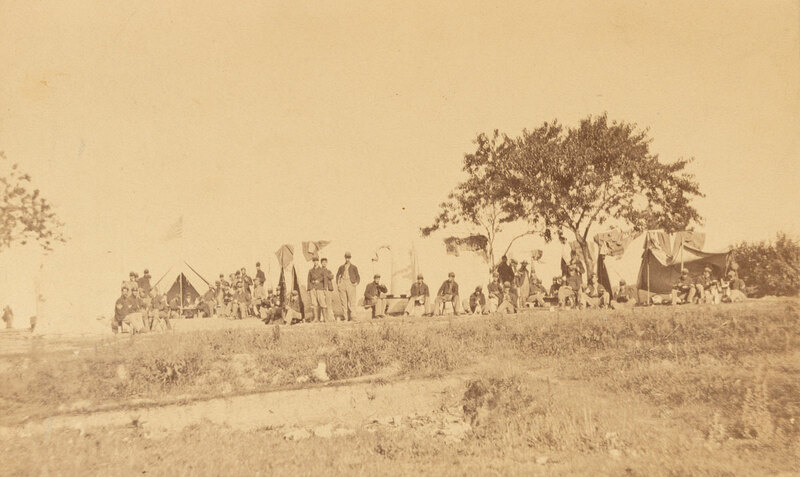 This is a stellar group of Mathew Brady photographs documenting an important moment in the Civil War and reflecting Brady’s promotion of his publishing ventures.